• that there has been selective use of the research from which the review was initiated. • ask both NPUAP and its Staging Task Force to consider – in the light of the points in the letter – whether their process really did produce the best outcome. 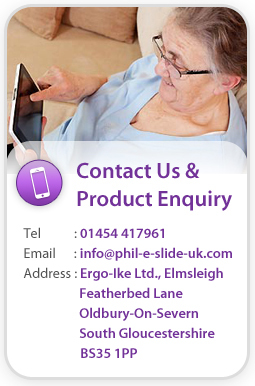 We have been engaged and working within the ‘inbed’* patient care sector for over 20 years; as health and social care practitioners, researchers and product developers. Today, we are deeply concerned that the NPUAP changes in ‘pressure injury’ terminology and ‘pressure ulcer’ classifications do not reflect the underlying causes of skin and tissue damage and that there has been selective use of the research from which the review was initiated. We call on EPUAP during its review of the terminology and classifications to consider the views below and we suggest both NPUAP and its Staging Task Force to consider – in the light of the points below – whether their process really did produce the best outcome. This is in conflict with the research findings where vascular disease is a causing factor of deep tissue injury[2–6]. • The statement from the first reference in the document: “The staging system for pressure injury of the skin cannot be used to stage mucosal membrane pressure injury”. In what way are mucosal membranes so different anatomically that not one of the proposed seven stages is applicable? This statement Is biased due to the addition of stakeholder references for two reasons. Firstly, adding extra articles by stakeholders implies the original algorithm is sub optimal. Secondly, hand picking articles is biased by definition; especially since they added to the original 242 articles. • It appears the consulted professional and government or regulatory organisations are primarily nursing-based organisations rather than a balanced sample of stakeholders. Position Statement 1: The diagnosis of a “pressure injury” does not mean that the health care provider(s) “caused” the injury. Tissue damage associated with patients being cared for ‘inbed’ have been historically called pressure ulcers, pressure sores, bed sores/ulcers, decubitus ulcers and other names. The latest term being used is pressure injury. Since the word pressure is used to describe pressure, shear and tension depending on the direction of the forces involved, a more accurate description is ‘force-related tissue damage’ and so we will be using this term throughout this response. The fact that an entire paragraph is dedicated to the word “injury”, indicates that the NPUAP foresees legal problems in the words used. • requiring the products/practices to work with gravity, rather than against it. Position Statement 2: Some pressure injuries are unavoidable despite provision of evidence based care by the health care team. The second position statement is on the avoid-ability of force-related tissue damage. However, NPUAP fails to provide qualitative or quantitative data on the number of an unavoidable force related injuries.  Whilst the references speak of unavoidable “pressure sores”, they do so in relation to the availability of high-quality care. This qualitative approach indicates a larger chance of developing an “unavoidable “ulcer yet no quantitative evidence is provided to substantiate this.  However well-intentioned the currently accepted and evidence-based ‘inbed’ care practices and products are, patients are still suffering. Some patients are more prone and of a higher risk to tissue damage (for example due to spinal cord injury or are of older age). However, there are those patients who don’t fit into these categories that are also prone and are at risk to tissue damage when the body’s threshold of resistance and/or ability to recover from damage, is exceeded.  The real issue of this statement is a cost-benefit analysis and indicates that the number of so-called unavoidable ulcers can be reduced even further with the use of advanced medical and nursing techniques. A casual glance at related medical fields like cardiology, nephrology and brain research shows there are many readily available diagnostic techniques and interventions to prevent and/or resolve forced-induced injuries. However, this raises the question whether society is able or willing to carry the cost involved with avoiding “the last ulcer”. The second part of paragraph 2 points the eventual plaintiff towards asking if the best available care has been applied. Available care would include current available standard medical procedures which are applicable for wound care. It would be fair to say that the non-availability of these tools would and should not be accepted as a reasonable argument by a judge in 2017. This raises the question why non-availability of basic medical procedures is acceptable for a health care provider or any other medical professional. • Avoiding any unnecessary external forces that can be generated by how the patient is rested, how they are moved and how they are re-stabilised, both during and after their body mass has been re-orientated. • Avoiding harmful forces generated as a result of both inconsistent manual handling practices and the use of mechanical means that are working against gravity and trying to overcome the gravitational pull forces that are keeping the patient stable. • That these external forces are controlled in a way that any patient movement and stabilisation works with rather than against gravity. Allowing the body to move and be re-orientated safely, further compliments and supports the body’s innate homeostasis to keep the patients skin and tissues within its natural threshold of resistance and repair. Thereby, maintaining its optimum tissue integrity. NPUAP and EPUAP needs to recognise that new research is available to show that the best available care would also include managing the one major external factor in the patient’s environment in all ‘inbed’ tissue damage occurrences: the patient interfaces with a resting/support surface. Position Statement 3: The numerical staging system does NOT imply linear progression of pressure injuries from Stage 1 through Stage 4, nor does it imply healing from Stage 4 through Stage 1. The fact that the third position statement actually states that there is no logical connection between the stages in the consensus document is interesting because the four-stage wound healing process is exactly describing healing from stage 4 to stage 1 (Wikipedia). By stating this, NPUAP appears to be concluding that each stage has its own specific aetiology and that underlying pathology may be a connection between the stages. We agree and challenge NPUAP and EPUAP that force related tissue injuries should therefore be staged/classified based on the underlying pathology. Position Statement 4: The NPUAP Staging System classifies pressure injuries based on the type of tissue loss that can be visualized or directly palpated. The fourth position statement is identifying the exact problem. The classification is based on type of tissue loss that can be visualised or directly palpated. Not only is the classification superficial, it also denies underlying pathology, for example, why is a mucosal force related injury unstageable? Imagine what the clinical relevance a classification based on type of tissue that can be visualised directly palpated for any type of wound would be? It is immediately clear that this classification is descriptive but bears no relation to the aetiology or possible interventions and is therefore not clinically relevant. Categorising a wound as unstageable can, under circumstances, be considered evidence of neglect due to lack of debridement. Classical diagnostic tools such medication (STOPP/START) screening [7,8], lab values[9,10], biomarkers[11,12], tissue sampling[13,14] and imaging[15,16] are not mentioned in the guidelines. Advanced diagnostic tools such as (epi) genetic[13,17–19], proteomic20 and metabolomic[21,22] screening are also not mentioned. Position Statement 5: The pressure injury may be more extensive than initially apparent. The wound base and surrounding tissue should be assessed for variations in sensation, temperature, firmness, color and any expression of drainage from surrounding tissues when palpated. Position statement five is claiming that there is more than meets the eye. However, these findings are to be noted but are neither qualified, quantified or part of the staging process. This is a very true statement. There are at least 22 internal factors that can contribute to the loss of optimum tissue integrity i.e. that can cause/contribute to both a reduction in the tissue resistance threshold and/or a reduction in tissue recovery. These include generic factors (such as stress), systematic factors, structural factors and local factors. It would be better therefore, if statement 5 would be reframed to diagnosis of pre-clinical events leading to stress, injury and damage at a molecular, cellular, tissue organ and organism level. That would be a nice starting point for bringing wound care to this century. Position Statement 6: Deep Tissue Pressure Injury (DTPI) may evolve into a full thickness wound despite optimal care. Position statement six is actually the same as position statement five. In court, however, this would make a difference. Interesting statements such as NPUAP’s “Off-loading the area still offers the best chance for tissue that is ischemic or injured, but not infarcted” is in conflict with medical ethics where chance should be avoided at all times. You may consider: “diagnostic tools for assessing and grading DTI, endothelial status and reperfusion injury are being investigated”. Position Statement 7: Any pressure injury should be treated in accordance with current evidence-based practices and monitored closely for changes that require re-evaluation of treatment strategies. Position statement seven is correct. However, guidelines do not allow proper execution of the statement. Close monitoring for changes that require re-evaluation of treatment strategies based on the six stages is dangerous and ethically questionable. NPUAP appears to realise this because they provide examples of deep tissue injury developing into a stage IV injury. However, having to explain this implies that the current guidelines are not sufficient for prescribing and handling the events related to force related injuries. • That external forces are controlled in a way that any patient movement and stabilisation works with rather than against gravity to maintain optimum tissue integrity. i.e. allows the body to move and be re-orientated safely, by allowing the body’s innate homeostasis to keep the patients skin and tissues within its natural threshold of resistance and repair. • The care provided allows the body to protects and repairs its internal environment by using both physiological and biomechanical mechanisms (tensegrity) and homoeostasis to maintain optimum tissue integrity. The NPUAP document on current staging of pressure related injuries is superficial and does not make use of current available knowledge and techniques. It does not measure up to modern standards of care. The fact that the methodology used is entirely ignoring underlying pathology in a way that it would be criminal to use pressure injury staging methodology on, for instance, a leg ulcer. The claim that,” The NPUAP has provided the gold standard for diagnosis and classification of pressure injuries for nearly three decades, and counting.” Is therefore not entirely correct. • It does not address the gap of what should be and what is available for both the caregiver and the care receiver. By taking this safer, combined ergonomic and biomechanical approach, NPUAP and EPUAP can make a real difference to the occurrence of force-related tissue damage and remove the risks to both carers and patients associated with ‘inbed’ care and positioning. • Patients need a safe environment (social or hospital) to enhance their care. • Whilst being cared for ‘inbed’, they need to avoid tissue damage. • They need to be at an optimum temperature. 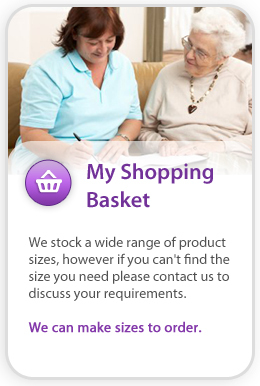 • Nurses and carers need products that are intuitive and easy to use, and are compliant with safe patient care expectations and regulation.  By “inbed” we mean: any resting /support surface facility which enables the patient to receive care, support and movement. This can include for example: beds (domestic/clinical), theatre tables, theatre trolleys, gurneys and X-ray tables, chairs and wheelchairs. Although this list is not exhaustive.